Yay I can't wait, gonna check first thing when I'm back home tonight!! Iiiöööö I am glad we got this one! Wow I loved Jem when I was a kid! This is awesome!! 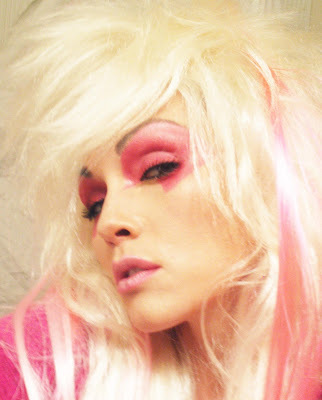 I was Jem one year for Halloween back in the late 80's! I was a youngen then!! I was She-Ra one year too!! ooh la la. You know Kandee, I love all of your ideas, some are like really crazy! but that's why i like 'em. You're SOOO talented. im jealous jk. cheers. Kandee .. I just wanna say that where ever i am in the world and i watch your blogs or videos it feels like home..
You are so kind and have the biggest heart ever. you give so much to others. you have really inspired me and you're really my biggest idol i look up to you. You deserve the best in the world. aw I was too late to vote, but they both look awesome! hey, will you be putting up the cleopatra video btw? Oooh this brings back great memories - Jem was my absolute favorite!!!! We are the misfits, our songs are better... we are the misfits, and we're gonna get 'er! Love all the looks Kandee! Awesome job! I was out shopping the other day wondering what is going to be the new fall/winter fashion. 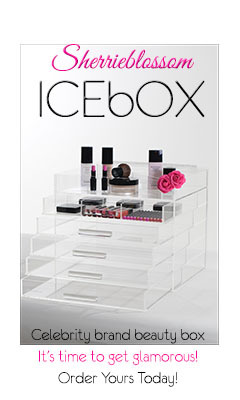 Can you do a video on some winter looks so I am start shopping for cute fun stuff! You are gorgeous inside and out and your videos inspire me to look get out of bed and get cute in the morning! Awesome look - love it... !! I have another costume idea for that wig. How about a video on doing Brett Micheals. HAHAHa. You can do really tanned orange skin, big lips with the blue bandana. Sorry, I'm into the sillier costumes for Halloween as you can tell. Keep up the great work! Oh...Can you do Tim Burton Corpse Bride? I just recently stumbled upon your videos on YouTube and love what you are doing. I just watched a video on how you colour your hair and it was so helpful! I was wondering if you could post another video on how you trim your own hair because i would love to try.